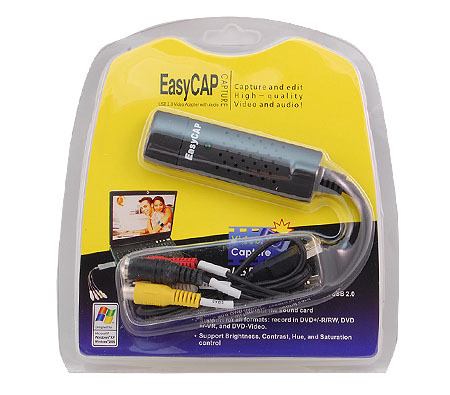 Easycap is a USB devices that capture any devices that support AV Cable such as Gaming console, DVD, DVB, etc. And running it at PC/Laptop monitor. There are many easycap version. Some of them will work and another will not work on Archlinux. 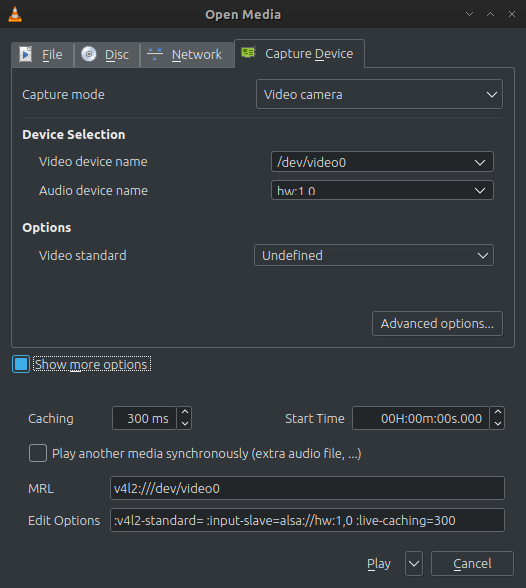 To see what easycap that can work you can see on linuxtv sites. In my country the price is so cheap only US$5. 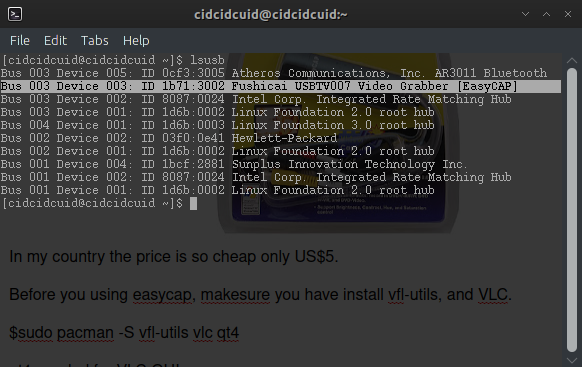 Before you using easycap, makesure you have install vfl-utils, and VLC. Well it's not on the linuxtv list, but nevermind just try it. Open up the VLC. 4. If you have webcam, there will be two devices names. Just choose the different one. 5. Expand "Show more options"
6. If you want to playing gaming console set the caching to 160, by default it will be lag. Under 160ms for some laptop/pc the sound will disappear. 8. Then here's the snapshot. 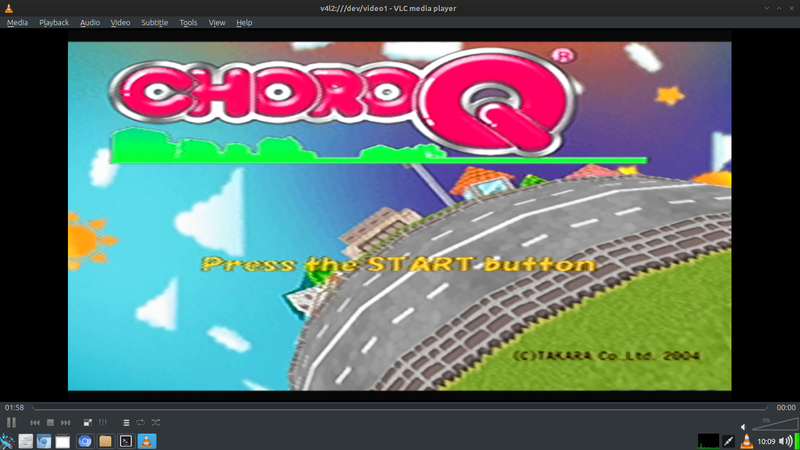 I was playing Choroq on Playstation 2 Consoles. That's it enjoy easycap on archlinux.